Untouchable colored butterflies that soar in the summer sky. That is the amazing vision of those who are present at the competition of flagwaivers and musicians, which takes place on the first weekend of July. The magnificent Piazza Arringo becomes a lively ring where the six Sestieri compete for the drape of flagwaivers and musicians. 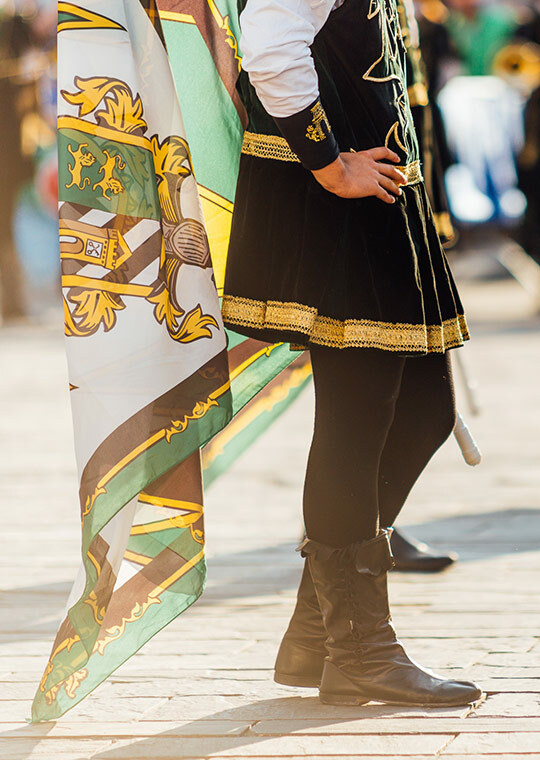 The level of ability reached recently is so high, that they excel in the national competition organized by the Federazione Italiana Sbandieratori (Italian Federation of Flagwaivers). 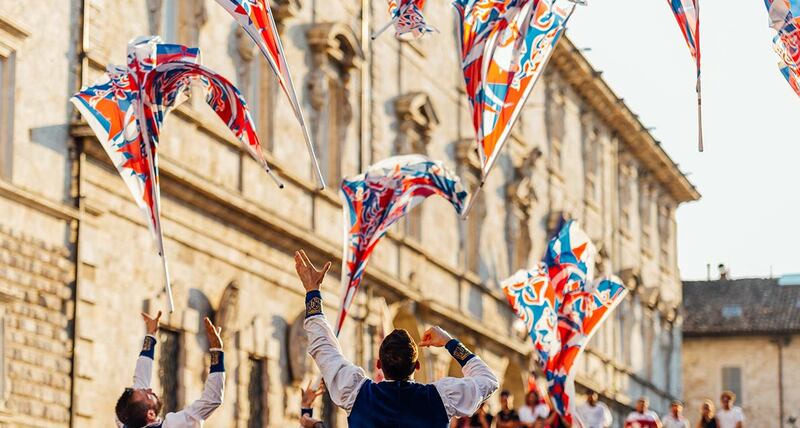 The flagwaivers of Ascoli are famous for their typical “bomba” (a final act which consists in throwing the flag as high as possible). The competition begun in 1989 and the first location was Piazza del Popolo, then, since the edition in 2004, the new background was Piazza Arringo. 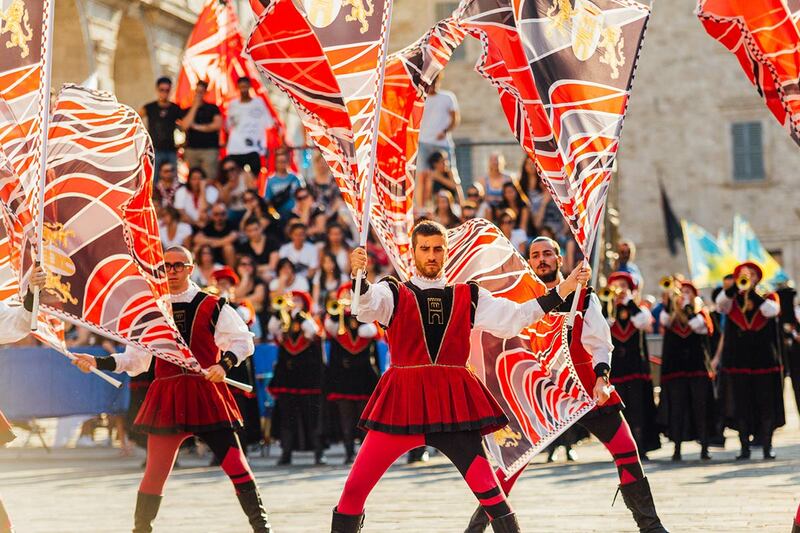 The competition is divided into four exercises: “singolo” (each individual flagwaiver), “coppia” (a couple of flagwaivers), “piccola squadra” (little team, from 4 to 6 participants) and “grande squadra” (big team, from 8 to 16 participants). Since 2004, the exercise which concerns musicians, has been introduced.